All eyes have been glued to the tube this week as football fans gather to watch the 2014 World Cup games. Hosted by the Fédération Internationale de Football Association (FIFA), there has been plenty of debate about who all will profit from the copious amounts of money the event will earn. As if on cue, FIFA issued a press release on June 11th stating, “FIFA has allocated $200 million dollars in bonuses to its national federations and confederations, as part of the $4,500 million to be raised from the World Cup. Each of the 209 members of the governing body of world football this month will receive $250,000 and $500,000 additionally early next year.” As one of the 209 FIFA members, our Belize Football Federation (BFF) will soon be coming into some easy, but well-deserved funding. The FIFA funding is designated to develop the world’s most popular sport, and Belizean players would benefit from training opportunities, team building, improved stadiums, local tournaments and more. With half a million Belize dollars promised this month, and a million dollars committed for next year, the future looks bright for Belizean football. The Belize Fisheries Department would like to take this opportunity to inform the general public that the conch season will be closed effective July 1st and it will remain closed until midnight of September 30th. As a reminder, we note that failure to comply with the close season will result in prosecution in court under Regulation 3 (1) (b) of the Fisheries Regulations, Chapter 210 of the Subsidiary Laws of Belize R.E. 2003. The Department hereby makes a special appeal to fishers and the public, to uphold the Fisheries Regulations in regards to conch and other marine products, and urges all responsible citizens to call the Department at 224-4552 / 203-2623 to report any infractions. The Department can also be reached by e-mail: [email protected] or [email protected] The public is assured that all information communicated to the Fisheries Department will be treated with the strictest of confidence! Religious activities in connection with the island’s Patron, Saint Peter (San Pedro), commenced on the morning of Friday June 20th with “La Bajada” followed by “El Alba.” The activities are part of the annual catholic celebration that the San Pedro Roman Catholic Church, the San Pedro Town Council and the San Pedro House of Culture put together to honor the fishermen’s saint. At 5AM on June 20th a group of faithful Catholics, including mariachis, gathered at the church to start the nine-day tribute to Saint Peter. “La Bajada” is a special mass in which the Patron Saint Peter is brought down from its permanent elevated altar in the church. It signals to the churchgoers the commencement of nine days of “novenas” (prayers) leading up to the Patron’s day celebrated on June 29th. Katherine Guadamuz joins Miss Panama Karol Salinas, Miss El Salvador Ana Graciela and Miss Honduras Maria Jose Alvarado. The other Mundo Maya countries and Central American region have confirmed their participation at the pageant and the remaining four contestants will be announced in weeks to come, prior to their arrival to San Pedro, La Isla Bonita. Rugby Belize recently announced plans to establish community-based rugby union clubs right across the country, to provide opportunities for youth and young people to engage in sport. As a result of that initial announcement, plans are afoot to set up (initially) five such clubs in Belmopan, Belize City, Hattieville, Orange Walk and San Pedro. To advance these plans, Rugby Belize is now moving towards establishing a national governing authority for the sport. June 20, 2014 Belize Fashion Week Team confirms this year’s BFW2014 which will be held in San Pedro Town, Ambergris Caye, Belize from October 9th – 12th 2014. International Designers will be announced at a later date. See below schedule of activities: October 9th 2014 – Opening/Social Event October 10th 2014 – Runway Shows (Local & International Designers) October 11th 2014 – Runway Shows (Local & International Designers) October 12th 2014 – Fashion Fest Locations and time schedules will be announced later. For more information please contact 629-3078/610-1880. Corozal Sports Council will be holding a summer camp for children of the Corozal Community this July 23 - For more information contact the Corozal Sports Council. across Mother's Park, in-front of Hotel Mirador. Residents in the nation’s capital, the City of Belmopan and surrounding communities will soon enjoy a safer and pleasant road infrastructure to serve both residential and commercial activities as a result of the signing of a contract for the rehabilitation/paving of Almond Boulevard and Chiquibul Street. The street infrastructure project, valued at BZ $417,802.00 is financed by the Government of Belize through a loan from the World Bank under the Belize Municipal Development Project (BMDP). Signing the Contract on June 19, at SIF’s headquarters, Belmopan were the Executive Director, Social Investment Fund Mr. William Lamb Jr., Deputy Mayor, the Belmopan City Council, Ms. Anna Guy, the contractor, Mr. Jimmy Dueck of Synergy Construction of the Cayo District. Other officials present at the signing included the Project Coordinator, Mr. Ernest N. Raymond, and the Consultant, Mr. Carlton Young of Young’s Engineering Consultancy. The Cayo branch of the Belize Tourism Industry Association is having a general meeting, and they are inviting the public to attend. It'll start at 2:00pm this Thursday, June 26th, and be held at the Cayo Welcome Center conference room. Come see what the BTIA is all about. Flaming shots by San Pedro AIDS Commission. 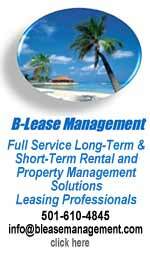 Jun 23 - The Belize Hotel Association (BHA) held its annual general meeting on June 20, 2014 at the Belize Biltmore Plaza! BHA thanks all Tourism stakeholders and members who attended this event! Einer Gomez from Ramon's Village Resort was an excellent MC and Guest Speaker Mrs. Karen Bevans, Director of Tourism for the BTB could not have been more positive about collaborating with the Belize Hotel Association! Panerrifix is taking their talent on the road, and playing at the Lobsterfests this year. This video was taken in San Pedro. The best steel band. The Western Ballaz not only took 2nd place in the NEBL, they received numerous statistical awards, and 2 players received performance awards. Kurt Burgess was named Defensive Player of the Year, and Farron Lauriano was named Most Valuable Player. Congratulations on a great season, Western Ballaz! The vet students from the Institute for Sustainable International Studies had their animal clinic in San Antonio this weekend, where they saw over 70 animals. Thanks, ISIS! In related news, the ISIS students brought down books, and they were donated to the San Ignacio Public LIbrary. "Our large animal class went into the Maya Mountains to offer a free Animal Health clinic to the people of San Antonio"
It’s kinda like having a family reunion once a week these days. We are so thrilled that Simon Perkins visited us from Orvis. Jeremy – we love ya, and thank you Abby for joining the team from Orvis and landing your first bonefish on the fly. Your shared experience will help many newbies who seek to reach beyond their horizons. Dave Decker aka D2 and his lovely bride Gayle were here. Thanks for leaving me the latest Jackson Hole News and Guide – fishing reports from the rivers to da sea! Duber brought a big group of twenty five! Thank you. Aki, Chris and Mak – I think we will go through withdrawals unless you show up every few months. We are so proud of Mak and his young spirit is so inspiring for other young anglers getting into the game. We are truly blessed at El Pescador. Our “family” of returning guests continues to grow. While we need the experts out there to provide some direction, it is really you that share our sport. 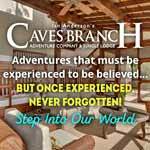 You sign up for your trip, get organized, shut out your work and daily responsibilities for a week and get recharged. Re-entry can be tough I know. . Others will ask questions – maybe they will want you to show them how to cast! Maybe they will want you to share which fly was working. Maybe they will be envious of your tan. Whatever it is, your spirit for discovery is infectious. Take credit! And for this, we thank you. In August of 2012, the Supreme Court ruled that the Government is liable to pay compensation to Vince and Cherie Rose because the Mayan villagers of San Marcos Village burnt down their crocodile compound outside of PG Town. Well, the Government appealed that decision and lost today, which means that the Court of Appeal has upheld that liability. Viewers may remember that in August of 2010, 9 year-old Benjamin Rash and his 11 year-old sister, Onelia, went missing. After over 2 weeks of searching for them, a "witch doctor", Delfina Alvarez, allegedly gave the Rash family information that the siblings were being held at the Rose Family's crocodile facility in Forest Home Village, Toledo. George Mckenzie Jr - his name was in the news in April when a murder charge was withdrawn against him - after it had already gone to court. It was a first, but the DPP made the decision because a senior police officer had videotaped proof that the 19 year old was at another location when the crime occurred. But, police charged him today for another crime. This evening, Mckenzie Jr was charged for attempted murder, dangerous harm and use of deadly means OF harm for a shooting that happened eight months ago. That's when Paul Alvarez was shot on Lovely Lane. The report at that time was that a lone gunman was responsible - and a man named Albert Robinson was already charged. But, claiming to have new evidence, police re-opened the case and charged McKenzie today. His mother came to us outraged this evening; she says he's being systematically harassed by police because he is the son and namesake of George Junie Balls McKenzie Sr.:.. Since April, we've been telling you about a con artist who had been going around pretending to be either a BEL or BWSL collection agent, a cable guy or a repair-man, who's been preying on the elderly - and pinching cash or valuables when they turn their backs. Well, the man police believe to be responsible for at least two offences is 49 year old Curl Gordon, a.k.a. "Doggy", a laborer of a Pelican Street address. According an elderly woman, Effie Pollard, reported to the police that on February 21, 2014, Gordon stole her purse which contained $70. Another elderly woman, Marlin Rojas, reported to the police that on May 26, 2014, Gordon stole from her $220. She said that the money was in denominations of 2 $50 US currency notes and 1 $20 Belize currency note. Police investigated the reports for several months, and they eventually charged Gordon with 2 counts of theft. He was arraigned today before Magistrate Dale Cayetano, where he pled not guilty to the charges. He was offered a bail of $3,000 and his case was adjourned until August 15. Up until this evening, Gordon had not met bail. As you've seen on the news, crime has been getting out of hand on San Pedro recently, and a new Deputy Commander has been deployed to the island to lead a crack down. Inspector Henry Jemott - who earned a reputation as a tough street cop in Belize City - is now second in command on San Pedro - and he was part of operation Clear Water this weekend in the island town. Officers from San Pedro and Belize City participated - and they came up with quite a bit of retail drug packages. On Sunday night at 8:30, officers conducted searches in the San Pedrito Area of and recovered 7 transparent plastic bags of Cannabis weighing 200grams. Another search five minutes later in the same area turned up 2 transparent plastic bags of Cannabis weighing 350grams. In that same same round-up, police found 50 more small transparent plastic bags of Cannabis weighing 87.7grams. And then, at about 10:30pm Officers searched William Valentine's home on Swan Street. They found 5 zip lock plastic bags of Cocaine amounting to 2 grammes. Valentine was arrested and charged for drug trafficking. Corozal Police are investigating an assault that looks a lot like road rage. It happened at around 7 o'clock last night. 24 year-old Andrew Lopez of Xaibe Village told police that he was walking on the main Libertad road with his wife, and they were heading toward the bus stop at the Northern Highway intersection. He says that when he arrived under a lamp post, a vehicle almost ran him over. IT CAME SO CLOSE THAT he and his wife had to dive into nearby bushes to avoid being hit. Lopez says that he angrily shouted at the driver, who then stopped his vehicle and reversed it toward them. The driver jumped out with a wheel spanner in his hand, and rushed at Lopez. The man then clubbed him several times over the head and body with it, and it wasn't till a few of the neighbors intervened, that his attacker fled. He had to be rushed to the hospital, where his injuries were classified as dangerous harm. Police continue to look for the man who attacked him. Cotton Tree Still Pressing Against Gov't. On last Week Wednesday's newscast, we showed you the comments from Foreign Minister Wilfred Elrington who initiated the move by Government to acquire private land in Cotton Tree Village for his constituents. Elrington will get 60 lots for his division, and the other UDP divisions in the city will share up the other 180 parcels for their constituents. In that interview, he claimed that this land wasn't really inside Cotton Tree itself, it was across the road from the village. Well, the case that the Cotton Tree Village Council launched to block the Government from going through with their plans went back before the Supreme Court today, and we asked the attorney representing the Village about the private acquisition and the location. He told us that his clients still have an arguable case, and he explained why: Reporter "What can you tell us about the comments made by the Minister of Foreign Affairs Wilfred Elrington because he say that the 240 lots in question are not part of the Cotton Tree Village?" Andrew Marshalleck - Attorney for Cotton Tree Village Council "He is really between a rock and a hard place because the law says that you must consult with the village council to deal with any lands in the village and there has clearly been absolutely no consultation he can point to then his only other choice is to say is that the land isn't in the village, so it's not surprising." Andrew Marshalleck is also the attorney representing those 30+ farmers from Valley of Peace who are seeking compensation from Green Tropics for the destruction to their crops. As we told you last week, the dispute wasn't making any measurable progress, and last week, the farmers told the representatives from Government and Green Tropics that all future discussion must be held with their attorney. We asked Marshalleck about the current state of affairs, and he said that there is an offer on the table that his clients might not agree to: Hon. Julius Espat, Area Representative - Cayo South "In Green Tropics, we are the negotiation level right now. Attorneys for the farmers and attorneys for the company are sharing information; we are trying to see what is the best deal possible for the farmers in our point of view. That where we are right now." There was a shooting in Belize City on Saturday night. It happened around 7:05 PM on Ben Bow street in the Queen Square area. 19 year old Javan Clare was with two other men transporting some speakers on a bicycle cart when a man came up behind them and opened fire. Clare was hit to the right arm - and the gunman rode off. Carlos Moreno, the new US Ambassador to Belize arrived in the country on Saturday morning at 6:15 AM. He flew in from California via Delta Airlines, and arrived with his wife, Christine. Moreno was greeted on the tarmac by Embassy staff who were waiting for him. Waiting for about a year actually - that's when Moreno was first nominated to the post - but it took 10 months for the US Senate to approve him. But, he's here now and preparing to present his credentials tomorrow. Moreno told LOVE TV on arrival what he intends to do in his time here:... Carlos Moreno, US Ambassador - Designate to Belize "The Government of the United States and the Government of Belize have an outstanding, longstanding relationship. I look forward to improving that relationship in so many ways." Prime Minister Dean Barrow left the country today. He will attend a Summit of the Central American Integration System, known as SICA. Usually such meetings are attended by the Minister of Foreign Affairs, but the Prime Minister is going because the rotating presidency of SICA will be handed over to Belize. It is the 43rd Summit of SICA Heads of State and Government and it starts on Thursday morning in Puntacana, in the east of the Dominican Republic. Belize will hold the SICA Presidency for six months. The Prime Minister returns next week Monday and Gaspar Vega will be acting Prime Minister. 27 year-old Marlon Foreman, who was accused of murder for the shooting death of 20 year-old Barney Cunningham Jr., was allowed to go home a free man today after the Prosecution announced that there is no evidence to proceed in the case against him. Viewers may remember that Cunningham Jr. was one of 4 persons who was shot at around 7 p.m. on March 4, 2010. They were all helping a person to move when a lone gunman rode up on a bicycle and fired 15 shots at the group. They all got hit by the gunfire, but Cunningham suffered the worse injures after he got shot in the head. He clung to life for a few hours, but passed away at the Belize Medical Associates. When the case went before the Supreme Court, Crown Counsel Sheneiza Smith told the court that the main prosecution witness cannot be located, so they are forced to enter the case into a "nolle-pros" based on lack of evidence. 33 year-old San Pedro Resident, Byron Evans, who as accused of irresponsibly shooting at a dog in public, was allowed to go home a free man after the charge was withdrawn today. As we told you, on June 10, while he was on Tarpon Street in San Pedro, when Evans fired shots after he was attacked by 2 Pit Bulls that belonged to a neighbor of the Minister of Tourism, Hon. Manuel Heredia. He did it in self defense with a licensed firearm, but the gun he was remanded against the objections of his attorney. When he came back today before Magistrate Dale Cayetano, the charge of discharging a firearm in public was withdrawn on instructions from the Director of Public Prosecutions, Cheryl-Lynn Vidal. For the past 9 years, on June 23rd Belize celebrates United Nations Public Service Day. Each year the Ministry of Public Service hosts an awards ceremony and luncheon for hundreds of public servants across the country. It provides an opportunity to recognize and celebrate the diverse contributions public officers make throughout the year. 66 public servants with 25 or more years of experience were awarded today at the ceremony, and 7news was there in the midst of the celebration. Senator Charles Gibson, Minister of Public Service "The 23rd of June each year has been declared as public service day and for the past 9 - 10 years we have been celebrating public service day in Belize. What we try to do first of all is to find out those public officers who have served 25 years and more and the whole idea is to ensure that we recognize and honor and we reward these officers for the hard work, the dedication that they have been doing over that period of time. As you can see this morning, we had what I would consider a very impressive ceremony and now we are having a luncheon and it is really, as I've said before, to honor them and to tell them thank you for the hard work and the dedication that they have done to assist in the development of this country." Ceviche and conch soup lovers, you have one more week to part-take in the prized sea-snail. That's because the conch season will be closed on July 1st and it will remain closed until midnight of September 30th. During this time it is illegal to fish conch. The closed season is set to coincide with the period when mature conchs usually mate. IT'S June, but The 2014 September Celebrations officially will officially open this weekend, June 28, and the National Celebration's Commission intends to make it a grand event. The Commission, working along with concert promoters, Flavaz Entertainment, will bring Trinidadian Soca Queen Destra in for a grand soca concert. On the ticket of performers will be Local soca royalty, including Ernestine Carballo, who's new soca album will also be launched. Today, the promoters stopped by to tell us how the event will work: Tiffarah "Andazi" Panton - PR, Flavaz Entertainment "We are going to have a huge concert, it's going to feature Trinidadians soca queen Destra Garcia and we also have our very own soca queen Ernestine Carballo launching her album that she is releasing this year, its called "Soca Party 2014." It's going to be a soca party all night long. 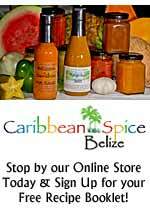 We are also featuring TR Shine and boss lady which are the Belizean soca artists that we are promoting in Belize. Its going to be a great show." The first ever National Elite Basketball League season came to an end this weekend with the culmination of a best of three series between the Cayo Western Ballaz and the San Pedro Tigersharks. It started on Friday night in Cayo at the Sacred Heart College auditorium in San Ignacio. The Western Ballaz delighted Cayo fans by taking the series to a Game 3, by winning Game 2 with a score 74-67. The party started after the final whistle. The final game was played 36 hours later, on Sunday morning in San Pedro. The Cayo team were down most of the game, but kept on trying. Still, though they were unable to out hustle the playoff MVP Ashton Edwards who put up 2 of his 22 points. The Tigersharks remained dominant and cruised to an easy victory, 60 - 52. The Belize Basketball Federation President Paul Thompson presented the first prize, a $20,000 cheque to the Tigersharks. In other sports news, a delegation of 10 Belizean athletes won 1 Gold 6 Silver and 3 Bronze at the 25th Central American Championship. In the females, Katy Sealy was best with a gold in the Heptathlon while Alexia Neal won silver in the 100 and 400 Hurdles. For the males, Brandon Jones got silver in the 200m, long jump and Triple jump and Kenneth Medwood got silver in the 400 meter Hurdles. This morning 31 year old Adrian Williams was arraigned in the Corozal Magistrates Court for the crime of drug trafficking. Williams pleaded not guilty to the charge and was offered bail of $3000.00 which he met. Williams was detained on Thursday evening by Corozal Police who became suspicious as they saw him riding a female beach cruiser on the Santa Rita Road. Williams was riding contrary to traffic and as a result police set chase after him. When he saw the cops he jumped off the bicycle and ran into Williams Schofield Street. With nowhere to go Williams jumped a fence and threw a white object into some nearby bushes. Quick police respond led to Williams’ apprehension but nothing incriminating was found on him. He however, was taken to the spot where police saw him throw the white object. It was discovered to be a transparent plastic containing white substance suspected to be cocaine. Corozal Police are asking for the public’s assistance in locating a man from the Village of Libertad who is wanted for the crime of dangerous harm. He is no other than Wilbert Carcamo who is accused of attacking 24 year old Andrew Lopez and his wife as they headed to the bus stop located near the Libertad Junction. Lopez, who is from the Village of Xaibe in Corozal, told authorities that on June 22nd at around 7:00pm, he and his wife were walking along the main road in Libertad Village heading towards the bus stop when he was almost hit by a vehicle traveling into the village. In order to avoid being hit, Lopez and his wife ran into some nearby bushes. Lopez shouted at the driver who stopped, reversed and came out of the vehicle with a wheel spanner in hand. Lopez recognized the driver as Wilbert Carcamo of Libertad Village who was accompanied by his sister Reina Carcamo. According to Lopez he told Carcamo to be careful when driving. Two brothers from the Village of August Pine Ridge in the District of Orange Walk are tonight without a homeless after their dwelling was purposely set on fire. Elder Oliva and Jairo Chi left their home on Friday around 7:00pm. At around 10:30pm they were returning home when they saw a man whom they recognized, riding his bicycle. The individual was coming from the direction of Oliva and Chi’s residence. Both brothers continued on their path and when they arrived home they saw their house roof engulfed in flames and the structure quickly being consumed by the fire. With the assistance from a few villagers, Oliva and Chi managed to extinguish the fire but by that time it dozed off, they had lost everything inside and the structure weakened. San Pedro Police in close collaboration with Belize City Police conducted an operation called “Clear water’ on Ambergris Caye over the weekend which netted them a good number of drugs and one person was arrested. The first raid was done about 8:30 on Saturday night in the San Pedrito where police found (7) transparent plastic bags of Cannabis weighing 200grams. It was taken to the station and labeled as found property. Minutes later, about 8:35pm, searches were conducted in the same area where police found (2) transparent plastic bags of cannabis weighing 350grams and (50) small transparent plastic bags of cannabis weighing 87.7grams. Both packages were taken to the station and labeled as found property. It’s no secret; Belize is among the countries with the highest rates of Human Trafficking in the region. While this paints a negative image for a small country like Belize, the U.S. Government's Department of State has taken aim at the Belize Government for not doing enough to combat human trafficking in its official 2014 Report on Human Trafficking released on Saturday 21 June 2014. The document says Belize has been punished by being elevated to "Tier 2" level, citing continuing irregularities in the Belize government's justice and prosecution system including a failure to prosecute corrupt politicians and high ranking government officials involved in the illegal human trafficking trade: "Trafficking-related complicity by government officials, including allegations of involvement of high-level officials, continued. ", says the report summary. They say that a picture speaks a thousand words and boy do we have pictures for the following story. The problem is though, we don’t have concrete information because everyone is being tight lipped about what exactly happened on Friday night on the road leading to the Village of Yo Creek in the Orange Walk District. What we have been able to conform though, is that this dump truck, belonging to the Ministry of Works in Orange Walk, was loaded with gravel when its driver ran off the road. Unconfirmed reports indicate that the driver of the truck and his sideman were intoxicated. They were allegedly returning from the small Mexican community of Botes located across the village of Santa Cruz. While the name of the alleged driver and his sideman has been revealed to us, we will withhold them until they have been confirmed. That was not the only drug bust for the week as authorities also managed to confiscate some seven pounds of weed which was discovered in a bus travelling towards Belize City. The discovery was made yesterday at around 2:00pm when North Composite Patrol searched a Tillett Bus which was on Belize Corozal Road (near Atlantic Bank) heading to Belize City. Police entered the bus and informed all passengers to open their bags as random searches would be conducted. During the search, police observed a green Everest nap sack on the front of the bus which no one claimed. Upon opening the bag Police observed seven parcels wrapped in transparent plastic which contained vegetable substance consistent to that of Marijuana. The bus was allowed to continue on its journey and the bag and its content were confiscated. Each of the seven parcels weighed one pound. The drug was labelled as found property. The main task and responsibility of The Belize Police Department is to fight crime thus keeping Belizeans safe. But despite of the immense efforts by the department, statistics prove that it will take the entire nation to fight crime. And that is where the “G.R.E.A.T” program comes in. The Gang Resistance Education and Training project was launched in 2010 with the aim of teaching youths the importance of being good citizens and how to resist the pressure of entering gangs. The initiative is being incorporated countrywide and today students from three primary schools in the Corozal District found themselves taking part in the last day of the 13 weeks program as they received their certificates. Reporter Victor Castillo has the story. Today certificates were handed over to 25 students from the Church of Christ School in the Corozal District. But they were not graduating from Standard Six, they were being awarded for successfully completing the 13 weeks Gang Resistance Education and Training program introduced by the Police department along with the Ministry of Education and funded in part by the United States Embassy. While “G.R.E.A.T” has been implemented in other parts of the country, it was recently introduced in the Corozal District. Fisher folk are reminded by the Fisheries Department that after June 30th, no persons shall take, buy, sell or have in possession, export or attempt to export any sea cucumber. This move is in accordance with Statutory Instrument No. 67 of 2009. Any person found in possession of sea cucumber after this date will be charged and prosecuted in a Court of Law in accordance to the Fisheries Regulations. The cooperation of the Fishing Community and the Public is greatly appreciated to ensure the sustainable use and conservation of this important fishery resource. A sixty year old woman of August Pine Ridge in the Orange Walk district has been charged for several offenses. She is Matilde Ku, housewife of August Pine Ridge. According to Orange Walk Police, on Friday they conducted a search operation of Ku’s the residence which resulted in the discovery of a 16 gauge shotgun, six 16 gauge cartridges, one 20 gauge cartridges, and 386.3 grams of suspected cannabis. Police also searched the yard which led to the discovery of two sacks containing suspected cannabis. Upon weighing it totaled 13 pounds of the leafy substance. The search continued and police observed on a clearing in the yard 10 marijuana seedlings. As a result police arrested and charged 60 year old Matilde Ku with two counts of drug trafficking, one count for kept unlicensed ammunition and one count of cultivation of a controlled drug. Forty-nine year old Curl Gordon, a.k.a. “Doggy”, a laborer of a Pelican Street address, who the police believe is the man who has been going around impersonating a BEL collection agent, was charged with two counts of theft when he appeared today before Magistrate Dale Cayetano. Gordon pled not guilty to the charges. He was offered a bail of three thousand and his case was adjourned until August 15. So far, Gordon has not met bail. An elderly woman reported to the police that on February 21, 2014, Gordon came to her house and stole her purse which contained 70 dollars. Another elderly woman reported to the police that on May 26, 2014, Gordon stole 220 dollars from her. Thirty-three year old Byron Evans, a cabinet maker of San Pedro, Ambergris Caye, who was remanded into custody after he was charged with discharging a firearm within 40 yards of a public road, was freed today when he appeared before Magistrate Dale Cayetano and the charge was withdrawn on instructions from the Director of Public Prosecutions, Cheryl-Lyn Vidal. It was alleged that on June 10, Evans fired his licensed point 38 revolver while he was on Tarpon Street in San Pedro. But investigation revealed that Evans was attacked by two Pit Bulls owned by a neighbor of the Minister of Tourism Manuel Heredia, and he fired the shots to prevent himself from being bitten. Evans, who was represented by attorney Oscar Selgado, said that he intends to file a lawsuit. A nolle prosequi, indicating that the prosecution does not wish to proceed, was entered today for 27 year old Marlon Foreman, who was charged with the murder of Barney Cunningham Jr. Crown Counsel Sheneiza Smith entered the nolle prosequi because the main witness, who is the only eye witness, cannot be located. The incident occurred around 7 p.m. on March 4, 2010. Cunningham and three other persons were on Curl Thompson Street helping somebody to move when a lone gunman rode up on a bicycle and fired 15 shots. All four persons were shot but Cunningham got the worst of it with a bullet that struck him to the left side of his head. He was taken to Belize Medical Associates where he succumbed to his injury the following day. Foreman was represented by attorney Bryan Neal. The nolle prosequi was before Justice John Gonzalez. Thirty nine year old taxi driver, Ernesto Chan says he is a victim of police brutality. Chan says that he was beat up by two police officers attached to the San Ignacio Police Department on Thursday night just a few blocks from his home in the Santiago Juan Layout area. His version of the story is that on Thursday, June 19, whilst driving along Tamarind Lane, a vehicle that Chan says had been tailing him, abruptly cut in front of him and stopped. Chan came to our studios today to tell us what happened next. ERNESTO CHAN “This vehicle overtook me and then he parked middle street so I had to pull on the side so I pull on the side and I was wondering what was happening. The owner of the vehicle is Sergeant Victorin; he came out of the passenger side and he opened my door from my vehicle and he held me from my shirt, pulled me out of my vehicle and he told me, Chan long time I want to (beep) he told me. So when he took me out he punch me on my mouth and he broke my teeth so when he punched me out and he told me that, his scent was strong of alcohol and then the driver of that Suzuki sidekick came out and pushed me down and he is Corporal Rodriguez and push me down and both of them started to beat me up. Prime Minister Dean Barrow left Belize today to attend the handing over of the SICA Presidency to Belize for the six-month period commencing July 1. The SICA Summit will take place in the Dominican Republic. The Prime Minister is expected to return to the country on Monday, June 30. During his absence, Deputy Prime Minister and Minister of Natural Resources and Agriculture Gaspar Vega will act as Prime Minister. On August 30, 2010, eleven year old Benjamin Rash and his sister, nine year old Onelia Rash were reported missing. Next month will make four years since their unexplained disappearance. Benjamin and Onelia, both from San Marcos Village, were last seen selling fruits near Cattle Landing Village in Toledo. Search parties were formed and until this day, no one knows what happened to Benjamin and Onelia. Frustrated and angered, the villagers took the matter in their own hands and consulted a resident “physic” which pointed them to the house of Vince and Cherie Rose and their American Crocodile Education Sanctuary, ACES. The angry mob of villagers torched the Rose’s property to the ground. As a result, Vince and Cherie Rose sued to Government of Belize under the Riot Compensation Act and in August 2012, Justice Oswell Legal ruled in favor on the Rose’s and found that GOB is liable. The Government appealed the ruling and today, the Court of Appeal dismissed the appeal. Attorney for the Rose’s, Andrea McSweeney Mckay, told us what happened in court today. ANDREA McSWEANEY McKAY “The main submissions of government were that what happened on that date, the fifth of September twenty ten, was a fire at the Roses’ crocodile sanctuary in Punta Gorda and what government has submitted was that it could not be a riot because either there was less than five persons who actually caused the damage or the persons who did cause the damage were not with the Mayan villagers at the time. Man accused of shooting at dogs to be released, but when? A burglary has been reported at a prominent business establishment in San Ignacio town. The Venus Photos and Records Store on Hudson Street was broken into sometime between the close of business on Saturday night and early on Sunday morning. According to police, the thief or thieves made off with electronic items and assorted jewelry with a combined value of $4,909. Police investigations continue. It’s Lobster Time Again in Belize! Yes, all over Belize fishermen are out catching, cooks are preparing and diners are consuming the yummy bugs, as Caribbean Spiny Lobsters are known locally. And to celebrate the opening of the lobster season, several Lobsterfests are held around Belize, providing a rare opportunity to not only gorge on these delicious crustaceans, but participate in great community events as well. Here’s a list of the main fests, followed by some facts about rock lobsters that 80s band the B 52s for some reason left out of their tribute song. Scientifically known as Panulirus argus, the species found in Belizean waters is related to, but different to the Maine lobster many people are familiar with, with the Caribbean cousin lacking the large claws characterising the big lobsters found in northern waters. This species has small spines all over its body and two long, thick spiny antennae. The head and legs are bluish while the body and tail are brown with large white spots. While the spines offer some protection, the lobster is still in huge demand not only by humans, but octopus, eels, sharks, rays, turtles and large fish such as groupers. For their part, lobsters are detritivores as well as omnivores, enjoying small crabs, chiltons, snails and clams. OK, we’re not going to leave you scratching your heads about detritivores. They’re creatures that feed on dead or decaying organisms, thus giving our spiny friends the distinction of being members of the reef’s clean-up crew. You can build a loyal, raving community by hosting online events that put the focus on your fans. A fun and effective online event is hosting a “Fan Page Friday”—it’s essentially a virtual networking party where you allow all your fans to share links to their own pages on your page. The event can last as long as 24 hours or more and is a great way to discover new businesses, get more fans, and build tremendous community while increasing your EdgeRank (news feed visibility), too. Many page owners launch a Fan Page Friday event every week; however, I find it much more effective to host one about every four to six weeks, as it has a bigger impact. On my last virtual party, several thousand page owners participated, many of whom picked up as much as a hundred or more new fans as a result. It takes 14 to 17 minutes to get to San Pedro, Ambergris Caye on a flight on either Maya Island Air or Tropic Air, the airlines that service transportation to the islands and anywhere else inland Belize. It takes about 45 minutes to one hour and 15 minutes to get there by boat depending on how rough the waters are inside the largest Barrier Reef in the Western hemisphere. There are literally hundreds upon hundreds of things to do there. Here are a few things to do that you may not have thought about. 1. Walk through the alleys. They are neat, sandy and all shoot out from the centre main road to the beaches. If you are a couple, hold each others hands and certainly a cold beer can be well accommodated in the other free hand. Certainly too, ask the locals for the names of the alley/street, some might make you laugh. 2. Walk into small bars. Read the walls. Take pictures of the signs. You never know, there nay be someone you know from the exact City you come from! Actually, what a blast it is when you read – there’s “Tony from Maryland” or “Jessica from New York”, you know them!! Awesome! If you like easy-going people…a chilled environment…a warm climate…and an income of up to $5,000 a month, then owning a beach bar might be just the lifestyle career for you. After all, if your customers are predominantly tourists, they are at their most relaxed and happy when they come into your place. And the profits from serving them can be considerable. Can you picture yourself there…at the center of activity? The world strolls into you, ready to share a joke. You serve up a cold beer or a round of cocktails and enjoy the encounter. You have a steady stream of business throughout the day and by sunset the place is filling up. Perhaps you hire a local band to get the atmosphere going for the evening. Maybe you serve food. Maybe not. The choice is yours. Expats are doing this on beaches all over the world. Butterflies are beautiful creatures and Belize is fortunate to be filled with them. Current estimates say that there are approximately over 700 species found throughout the country. As important pollinators, in the wild, you can commonly see these insects floating effortlessly from one plant to the next sucking sweet nectar from flowers. If you desire a closer look, I recommend you visit one of the several butterfly farms found in Belize. There you will be able to spend a few hours learning about different species and witness their complete life cycle (egg > larva > pupa > adult). Whether you are a kid or adult, these farms are well worth a visit. Trust me. 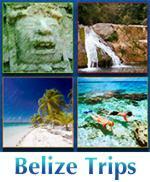 With cats in tow, the journey to Belize begins at 2:30 a.m. on June 15, 2013. Flying from Denver to Fort Worth to Belize City and then hopping on the island jumper to San Pedro, Ambergris Caye became a full day of travel. The kitties fared well considering their "mama" was lugging them into a foreign country subjecting them to the scrutiny of the TSA and Belize Customs pat-downs. Theirs was not so much the culture shock as it was the temperature variations from cool Colorado evenings to a consistent balmy and humid 80 + degrees. I'm certain they were questioning my sanity. George, our taxi driver, introduces us to the layout of the town, the markets to shop at, restaurants to visit and how to navigate from city center to the Villa that is located 2 miles south of San Pedro. Settling into the Villa was a breeze. The kitchen/living area separates the two bedrooms each of which have their own private bath and access to the veranda. The pool is just steps away and the ocean is a short 1 block walk. Ahhh, paradise found. We leisurely stroll over to Ricco's restaurant which overlooks the Caribbean Sea for dinner. Smells of the salty sea air and the melody of music from a wedding party at a nearby resort fill our senses. Our first evening on the island is overflowing with laughter and relief that we are finally here after more than a month of putting the plans together. Breathe. The A-list actor is promoting a proposed billionaire’s playground in Puerto Azul, complete with a private airport and racetrack, that could endanger the marine habitat. A consortium of environmental organizations has raised an alarm about a proposed megaresort in Belize that received maximum glam cred in May at what the Daily Mail described as the “most exclusive party” at the Cannes International Film Festival. John Travolta and his wife Kelly Preston were the spokespersons for Italian developers of an eye-popping getaway that could pose a threat to the ecologically fragile Lighthouse Reef Atoll, a world-famous coral reef system. The atoll is home to two UNESCO World Heritage sites, including the famed Great Blue Hole, and to more than 500 species of fish, three sea turtle species and one of the world’s largest remaining populations of the endangered West Indian manatee. The resort’s planned private jetport, electric Formula One racetrack and the an outdoor amphitheater dedicated to Andrea Bocelli might generate buzz among glitterati like Heidi Klum and Adrien Brody, both of whom were present at the Cannes event, but it could also taint a country that prides itself as being a magnet for ecotourism. Representatives for Travolta were contacted but provided no comment. A dog from Belize will soon complete a remarkable journey to his new home and family on Chicago's Northwest Side. John and Ania Garrido already have a dog bed, toys and a tag waiting for the new pet they've named "Pedro." The couple decided to adopt Pedro after finding him hungry and sick in Belize where they were vacationing. The Garridos got Pedro medical treatment, then they had to wait a month after his rabies shot to bring him home. On Tuesday, John will fly to Mexico, where he'll meet volunteers who are driving Pedro up from Belize. Parts of the world that have rarely -- if ever -- been seen before by human eyes are now open for armchair explorers using any computer or smartphone. Interactive, 360-degree underwater photos of UNESCO World Heritage Marine Sites -- which let viewers navigate through some of the world's most stunning coral reefs and underwater ecosystems -- have been posted online. The result of an international collaboration between the Catlin Seaview Survey and its partners -- which include the Global Change Institute, the Scripps Institute, the National Oceanic and Atmospheric Administration and the International Union for Conservation of Nature -- these images are also available in Google Maps' street view. The goal of the underwater photo survey is not just to reveal the beauty lurking just beneath the waves, but also to educate the public about environmental issues threatening these essential ecosystems and to gather data for scientists tracking the risk. "We hope that the imagery will help...people realize just how beautiful these places are and how important it is to protect these environments that up until now have been out of sight and out of mind," Richard Vevers, the executive director of the Catlin Seaview Survey, told CBS News in an email. The Lawrence family must be full of big hearts! Jennifer Lawrence and her brother Ben threw a block party to help out a little girl with her recovery from a tough battle against leukemia. According to 14news.com, Hadley Mercer is from the actress’ hometown of Louisville, Ky., where she lives with her parents and two older sisters. At just six months old, Hadley was diagnosed with leukemia, and has since undergone chemotherapy treatment and a bone marrow transplant. The good news is that Hadley recently celebrated her first birthday — in remission! Ben helped organize the party through the company he co-owns, Louisville Geek. He revealed there were several goodies set up for auction, including ‘Hunger Games’ and ‘American Hustle’ memorabilia signed by his sister, and a trip to a private island in Belize arranged by Jennifer. Surrounded by palm trees waving in the breeze and turquoise blue waters, the Marines of Company C, 4th Law Enforcement Battalion, along with the Army National Guard, the Royal Canadian Air Force, the Dominican Armed Forces and 13 Caribbean partner nations, executed phase II of Exercise Tradewinds 2014 at Las Calderas Naval Base, Dominican Republic. The battalion’s primary mission at the exercise was to plan and execute and integration package with the host nation the partner nations, to share ideas on how to better security in the Caribbean region, and to improve U.S. tactics and procedures. “Anytime we get to deploy as a unit and get to interact with partner nations, we get share ideas and see different ways of accomplishing tactics,” 4th LE Bn. commanding officer Lt. Col Sydney Park said. Phase I of Tradewinds 2014 took place in Belize and its focus was based on maritime operations, crisis preparedness and response. Phase II focused on law enforcement and military ground operations, such as tactical site exploitation, range operations, urban tactics, close quarters battle skills, crime scene processing, and vehicle and personnel searches. Participating militaries also received instructional classes on civil affairs and human rights issues. As part of my Rainforest and Coral Reef Ecology course at Sewanee we took a trip down to the wonderful country of Belize. We spent 5 days in the rainforest doing research at the BFREE research station, and then 5 days out in the barrier reef working with the Smithsonian at Carrie Bow Caye. Overall it was a wonderful, rewarding trip. 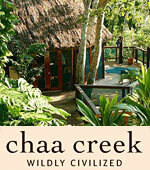 Video: Tour the Villa at Cayo Espanto, Belize, 2min. 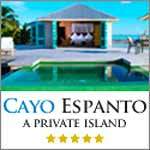 Located off the coast of Ambergris Caye in Belize, Cayo Espanto is a private island with just seven villas. Staff out number guests two to one. And visitors are free to enjoy whatever they like, be it breakfast in bed, lunch on their villa's private dock, dinner on the beach, or all three. Video: Buston Lab Field Season 2014, 4min. 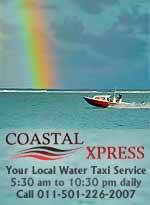 Video: Rainbow Over Caye Caulker Belize, 15sec. Rainbow just before a big wind storm. Video: A Year in Belize, 7min. The Video story of a year in Belize. Video: Blue Hole Adventure Day, June 17, 2014, 4min. 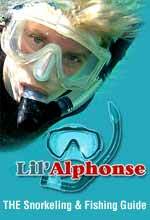 Thanks to Guest Diver Darrell Anderson for contributing video. 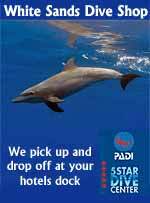 Thanks for choosing Belize as your diving vacation destination. Video: Taking off in a small plane in Belize, 2min.